PBS Kids released four holiday titles that you might want to pick up for next year (or tonight). They include holiday specials with Caillou, Odd Squad, Peg + Cat and WordWorld. Disclosure: These DVDs were received in exchange for a feature. 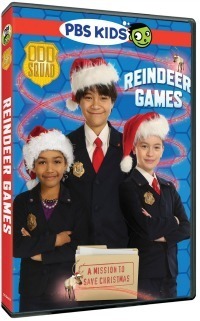 The first ODD SQUAD DVD release, “REINDEER GAMES” features three stories – “Reindeer Games,” “Ms. O Uh-Oh,” and “Party of 5,4,3,2,1.” In “Reindeer Games,” Ms. O attempts to get off Santa’s naughty list, while Olive and Otto combine forces with Santa to find his missing reindeer, which have accidently been shrunk and escaped their barn! Using math skills, including geometry and spatial sense, the agents must locate all the reindeer and help Santa deliver presents. 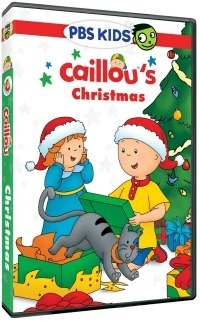 “CAILLOU’S CHRISTMAS” includes 12 fun-filled holiday and winter themed adventures! 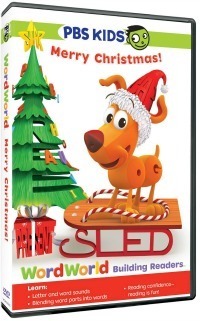 From visiting Santa and going Christmas tree shopping in “Holiday Magic,” to planning to stay up all night to see Santa in “Caillou’s Christmas Eve,” this DVD features stories that will get kids into the holiday spirit. “PEG + CAT: A TOTALLY AWESOME CHRISTMAS” includes three mathematical adventures – “The Christmas Problem,” “The Penguin Problem” and “The Blockette Problem.” In “The Christmas Problem,” Peg and Cat travel to the North Pole on Christmas Eve to see Santa. When Santa accidently flies away in Peg and Cat’s spaceship, they need to find a way to make and deliver presents for all the kids of the world. Tackling one problem at a time, Peg and Cat must fix the Super Big Present Making Machine, figure out how to get the presents into 100 sleighs, and work to make sure all 100 sleighs are accounted for after a huge snowstorm.